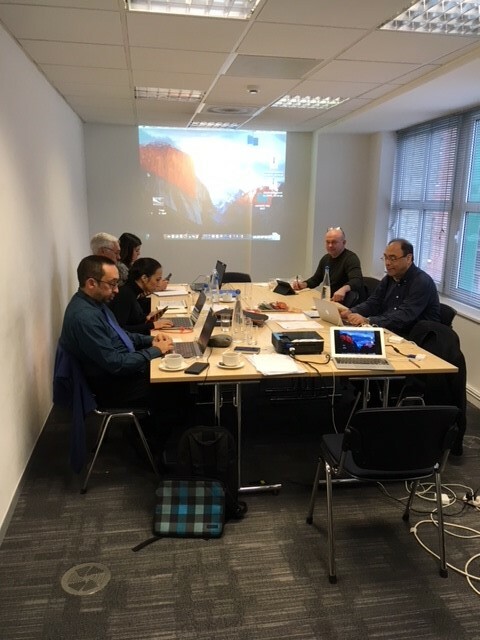 The first meeting of Keystone Project took place on March 26th and 27th in London, UK. Keystone is a two-year project, financed in the Programme KA2 “Cooperation for innovation and the exchange of good practices; Strategic Partnerships for youth”, involving partners from United Kingdom, Spain, Italy, Greece and Portugal. In the framework of Keystone Project, partners will develop a collaboration programme focused on vulnerable young people aiming to increase the required abilities thatby the market. During the meeting, the partners discussed about the objectives of the project in the short and long term, and organized and defined the responsible partners for the work to be done until the next project meeting. Keystone objective is to develop, implement and evaluate an innovative approach to delivering interventions aimed at the socio-economic inclusion of marginalised young people, based on “Community Lablets” or innovation spaces. These “Lablets” aim to explore how disadvantaged and at risk young people can play a pivotal role in creating socio-ecological innovations for a sustainable model for change in the EU. Among others, the expected impacts of the project include an increase in the effectiveness, relevance and quality of services provided to disadvantaged young people and an improved employability of young people, which leads, in the long term, to a reduce in youth exclusion.